A few weeks ago, an old friend sent me an email wondering how hard it would be to make a table for tailgating games that was topped with beer caps in epoxy. Surely, some brave soul has tried this on many college campuses and it's perhaps more work than it's worth. 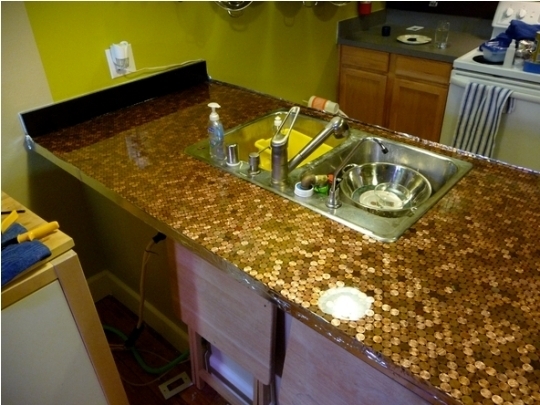 The email reminded me of a DIY project I had seen online sometime before where a homeowner had "pennied" and epoxied a kitchen top. Must say it's a brave undertaking for a DIY-er, even though if it was a complete disaster some laminate replacement tops wouldn't break the bank. So what do you think? 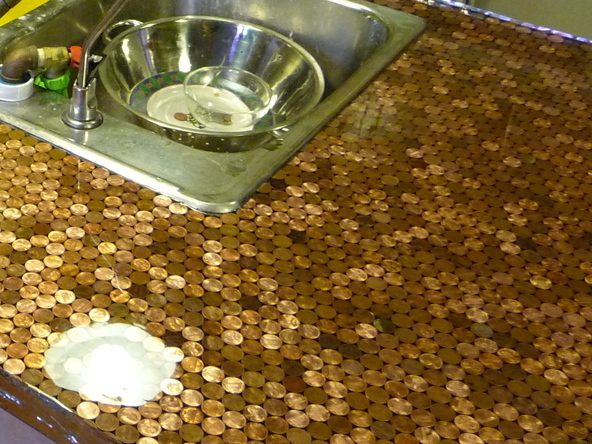 The homeowner figures they spent approximately $7.50 per square foot on materials, including the $77 worth of pennies used. 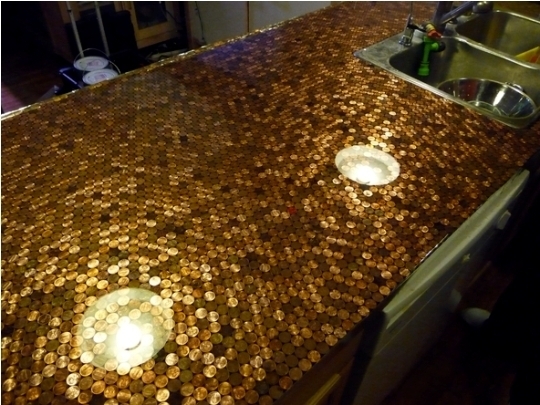 I think it'd look interesting as a backsplash in a home bar either grouted like mosaic tile or epoxied and then vertically applied. 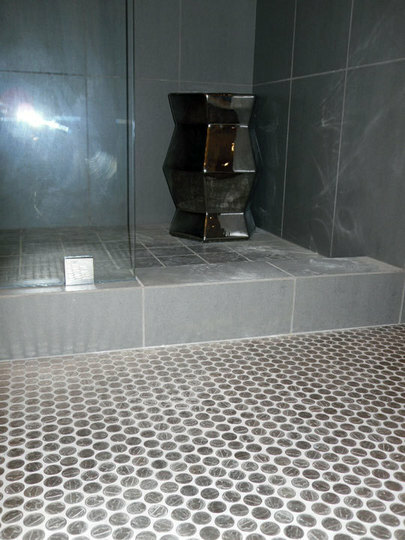 OR... you could do nickels on the floor of your bathroom. Granted, nickels cost more than pennies. 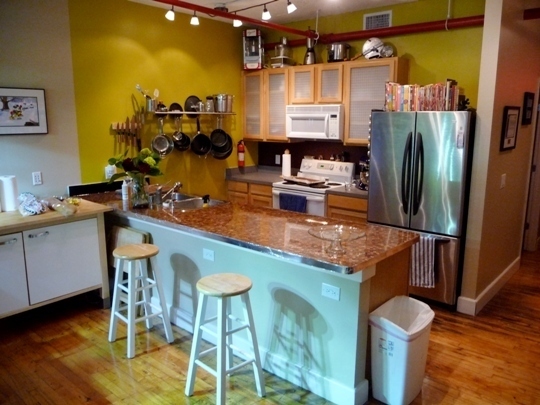 Even at $682.50 worth of nickels, it's still less than 10 bucks a square foot. Not bad, not bad at all. This is could totally go for. Would you do either in your house? Any other neat ideas? That penny counter makes my eyes bleed. It proves the old adage, "Just because you can doesn't mean you should." 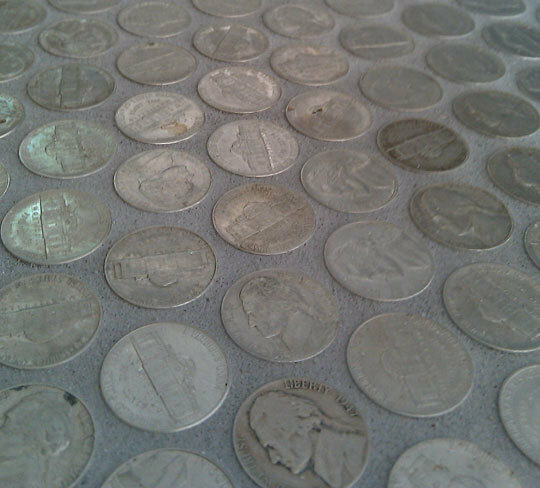 I kind of like the nickels on the bathroom floor though. Yes, My neat idea is that someone should come over and put dollar bills all over my floor. But not epoxy them; just leave them there. I would contemplate their artistry, then pick them up and put them in my wallet. 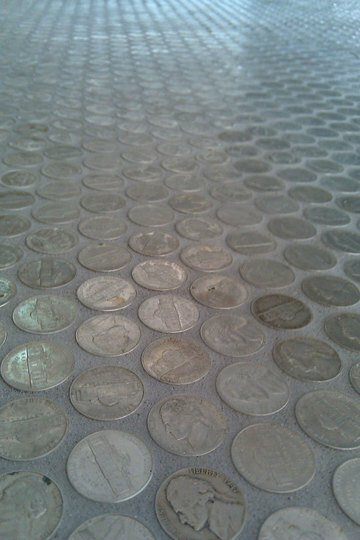 I actually like the nickel floor. 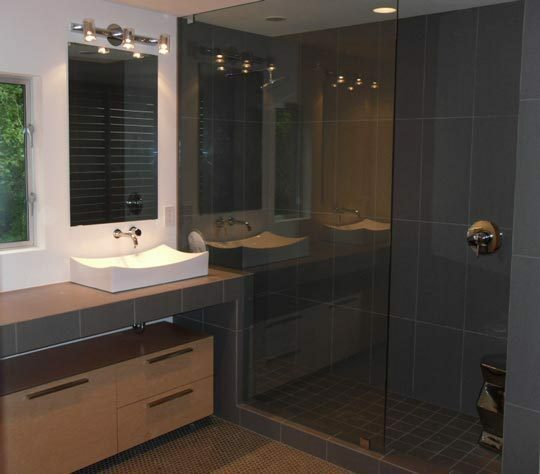 I think it would look A-MAZ-ING with the new translucent grout on the market. You'll never be able to reclaim the money but, it's a look.